"Music is the expression of the time we live in: the expression of noise, hectic, aggression but also of beauty and love.? This is what the guitar-player and composer Toto Blanke says about his music which he tries to realize with different groups like "Electric Circus" or the guitar-duo "Duel for two guitars." In 1970 Toto decided to give up his profession as a graduate in architecture in favour of only working as a professional musician. With his first group, "Association P.C." Toto made many tours in Europe, Asia and Africa. He played on nearly all the important European festivals and in 1971 he established his international reputation on the "Berliner Jazztage". Within five years this group recorded seven LPs, one of them with the American flute player Jeremy Steig. In 1975 Toto recorded his first album "Spider's Dance", Phonogram, with Joachim Kühn, Charly Mariano, John Lee and Gerry Brown. In the meantime he gave duo-concerts with Philip Catherine and Jasper van't Hof. LPs with van't Hof, Rolf and Joachim Kühn, Randy Brecker and others were released at that time, too. 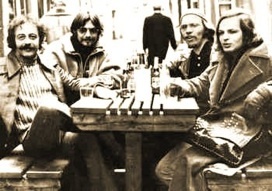 It was the "Baden Baden New Jazzmeeting 1976" where Toto founded his first "Electric Circus" group with Jasper van't Hof and the Finnish drummer Edward Vesala. In the same year the first Electric Circus LP was recorded. It was described by international critics as a milestone in the history of Jazz and contemporary music of the eighties. In 1978 Toto Blanke was sent to Perugia, Italy, by ARD to represent the Federal Republic of Germany at the EBU concert.A new LP was released: "Tales of Tomorrow", Bellaphone, and Toto and Charly Mariano made an extremely successful tour through the former GDR which was repeated one year later. A very prolific cooperation followed with Stu Goldberg, Trilok Gurtu, Tony Lakatos and Norbert Dömling. After several tours two new LPs were recorded: "Friends" and "Family".Since 1978 Toto has played with Rudolf Dasek more frequently and this duo made tours through Europe (east and west), Africa, Asia, Brazil and Argentina. Seven noteworthy CDs were released: "Silhouettes", "Tramontana", "Talking Hands", "Kirchenmusik", "Two Much Guitar", "Between the Bridge and the Silence" and "Mona Lisa". At the same time Electric Circus with Tony Lakatos, Norbert Dömling and several drummers produced a new CD: "Bella Donna", Aliso. In 1985 Toto composed the music for a Garcia Lorca theatre-play: "In seinem Garten lebt Don Perlinplin", released on a CD of the same name. Fascinated by the Argentine Tango music Toto founded the "Trio Tango", together with Raul Montero, a well known singer from Uruguay, and a number of excellent Bandoneon Players. Blanke and Montero recorded a new CD: "Fools Paradise", music for an unfinished film. Organized by the Goethe-Institut Toto gave a number of concerts in several countries of Latin America in 1991 and 1992. With Dasek Toto recorded the CD "Two Much Guitar" and in 1992 he formed a Quartet with the virtuoso on the Bandoneon Rene Maria Rivero from Uruguay, the Portuguese bass player Carlos Bica and the Argentine percussionist Marcio Doctor. On their large tour through Europe they played a mixture of Modern Jazz and Tango Nuevo. In 1993 Blanke/Dasek recorded Kirchenmusik No. 2: "Meditation" in the Bartholomäuskapelle in Paderborn, Germany (the famous romanesque chapel offering a fantastic sounding and 5 seconds reverb). In the same year "Energy Fields" was released, recorded with "Das Obertontrio" at the same place. 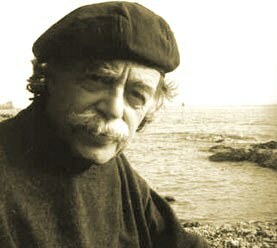 In 1996 Toto and the Argentine virtuoso on the guitar and charango, Diego Jasca, recorded "Sur". "Electric Circus Best" was released in 1997 and "Take Two" in 1999. Also in 1999 a live CD was released in Prague: "Between The Bridge and the Silence." The CD "Going Crazy" was released 2004. In 2011 recordings with Jasper van´t Hof, Diego Jasca and Aldé for the last CD „Take Time“, released 2012.